The Blade Question	Are blades going to lower your score? We have all asked ourselves the question, and indeed have heard the ongoing debate with our Golf comrades: ‘Are blades going to lower your score? And are high and mid handicappers unable to play a blade due to the non-forgiveness of the design? I am here to tell you that that this is not true. Anyone can play a blade. See, there-I have said it... Blades might have a smaller sweet spot, punish you for an off-center shot and make you feel like your having an electrical shock on bladed/thin shots... However here is the truth: When you hit a blade with a good swing in the center of the face, you will have an epiphany, hear an orchestra in your ears, for it does not get any better than this. It is worth it. It’s like the Forged question: Yes, forged clubs are better because they FEEL better. It is the same with blades. If you have a good shot with a blade it will reward you, it will give you control and confidence that you never knew you had. True, with off-center hits they will punish you, but I have found the truth: That I will judge my rounds much more by the quality of my best shots than the acceptability of my worse ones. I have read various pundits opinions about Blades not being suitable for anyone over a 5 handicap, and certainly not a lady player. But to be honest that is just rubbish. Latest technology shows that makers are refining the process of blade design to give off-center shots more forgiveness particularly with off-the-toe shots. 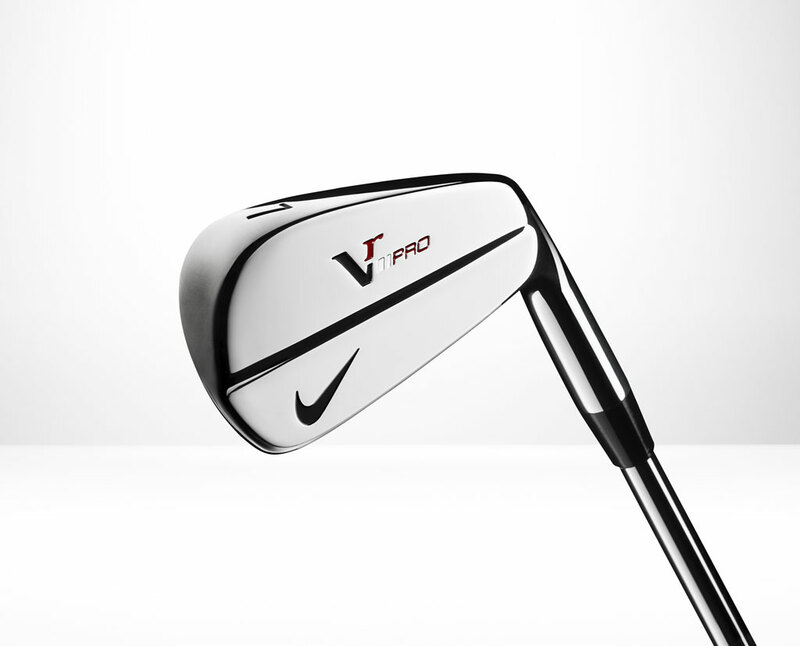 In the case of Nike and their VR clubs, Tiger Woods himself consulted on every aspect of the design and manufacture of the club- and who better in the world to design a Golf Club than one of the best to have ever played the game. So now that we have convinced you to try a blade, which one should you try? We have placed 6 of the available options on the Japan market in this issue, all are excellent and worthy, Don’t be afraid and have fun discovering yourself the answer to ‘The Blade Question’. and a more precise forging process create irons that offer shot-shaping performance for the top players in the world. Each iron face features more grooves, resulting in cleaner, more consistent ball flight and control. Wilson muscleback design renowned for its delicate balance of sleek look, soft feel and shot-shaping ability. A closer look reveals this modern innovation: a slightly larger head, a lower muscle slot and a wider, cambered sole. The 5,000 series is the best selling muscleback for Miura Golf Japan, the thick sole making it one of the easier blades to hit, and streamline ‘Old School’ looks making it one of the most attractive. Forged muscle-back with clean lines, compact player’s shape and minimal offset. Delivers the pure feel, feed- back and workability coveted by blade fans. A traditional muscle back design with short blade lengths and minimal offset for both trajectory and shot shaping control, the narrow sole aids this operability.